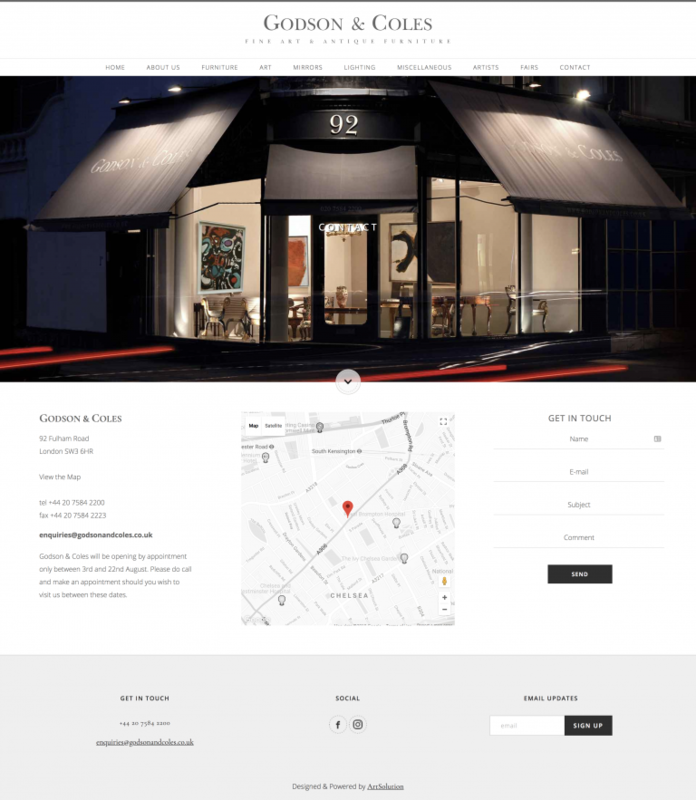 Godson & Coles has for many years specialised in the best of 18th century English furniture and 20th century modern British art. 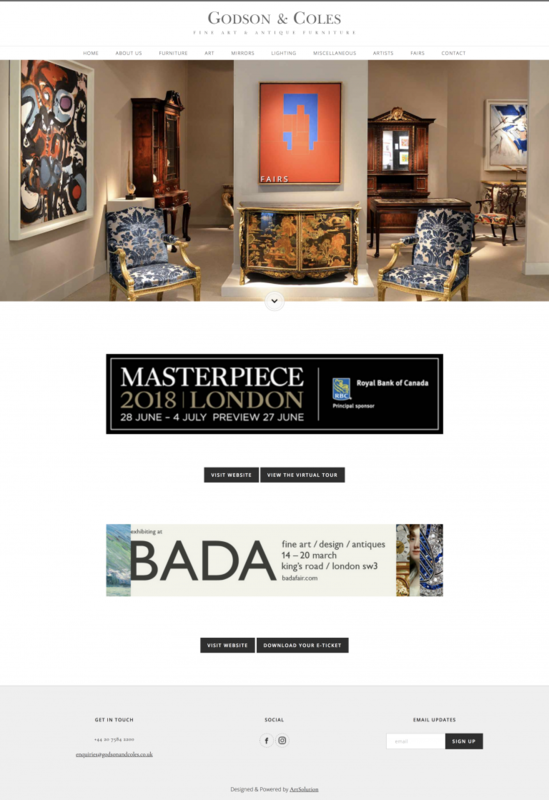 As one of London’s leading art and antique galleries, having been established for many years in South Kensington, Godson & Coles has developed an international reputation for dealing in the highest quality of antique furniture and modern art; a combination which is unique to them. These two genres are not as disparate as they may seem and their creative energies reflect each other, creating a fascinating dynamic. Founded in 1986 Godson & Coles focuses on the most exceptional pieces of 18th century English furniture, placing paramount importance on originality and authenticity. The furniture is chosen for its integrity, exceptional design, quality of craftsmanship and untouched patina. 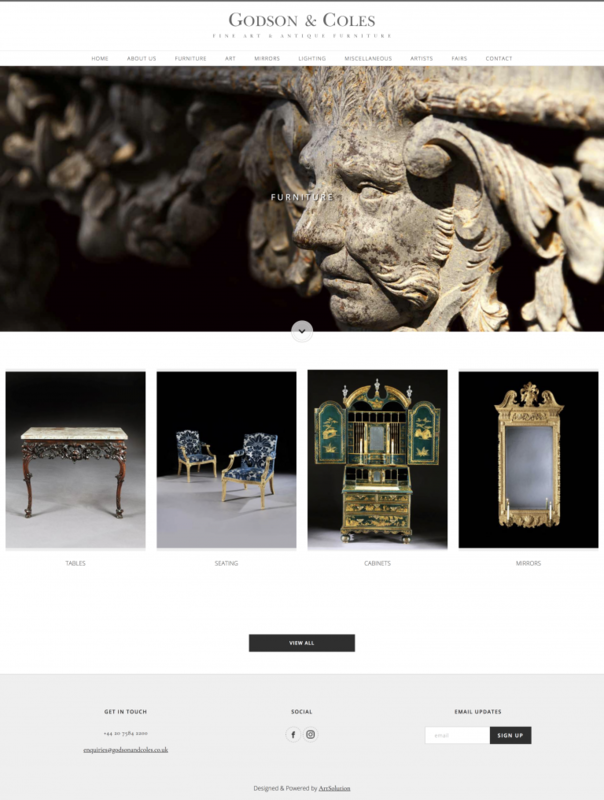 Works range from richly carved mahogany to exquisitely decorated japanning with examples by the most prestigious 18th century English cabinet-makers, including Thomas Chippendale, Giles Grendey, William Hallett, John Linnell, Robert Adam and many others. Expertly paired with the antique is the abstract expressionist work of the British Modernists, and predominately those involved in the St. Ives movement. The middle of the twentieth century saw some of the most creative and avant-guard developments in British art, much of which is associated with the small Cornish fishing town of St. Ives, which became the centre for abstract movements in British art during the 1950’s and 1960’s. The gallery specialises in works by some of the most acclaimed and distinguished names in Post-War British art, including works by Sir Terry Frost, Sandra Blow, Patrick Heron, William Scott, Alan Davie and Victor Pasmore. The unique combination of the antique with the modern highlights the extraordinary work and creativity of the other. 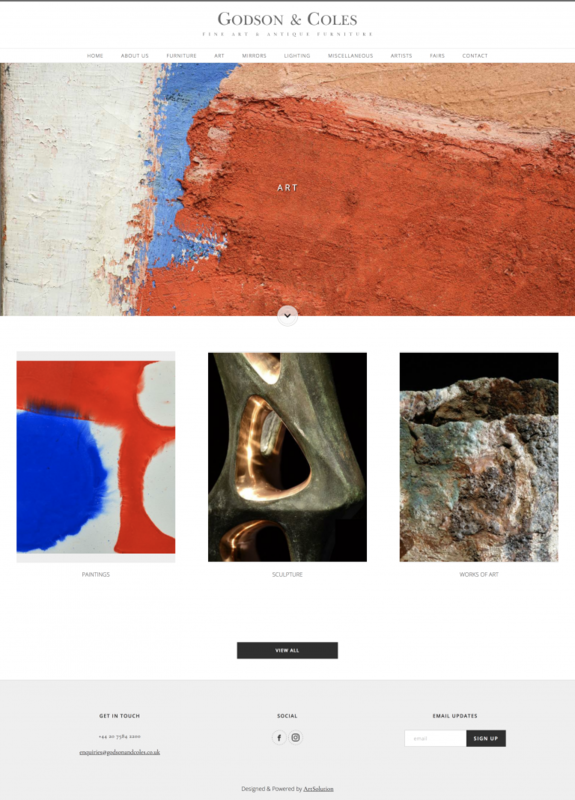 In both cases, the revolutionary craftsmen of the 18th century, and the ground-breaking leading British modernists of the 20th century both created a new visual language, and when these authentic pieces are combined, there is an unmistakable energy. 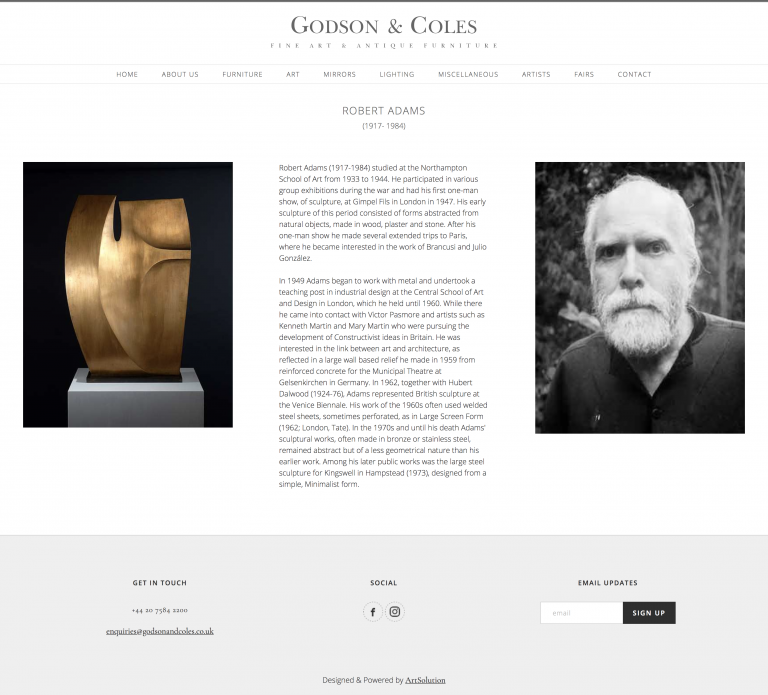 Godson & Coles’ website was designed and created by ArtSolution.